Preheat oven to 220°C (425°F). Divide the chocolate between 2 x ¾-cup-capacity (180ml) small heavy-based ovenproof frying pans. Top with the marshmallows and place the pans on an oven tray. 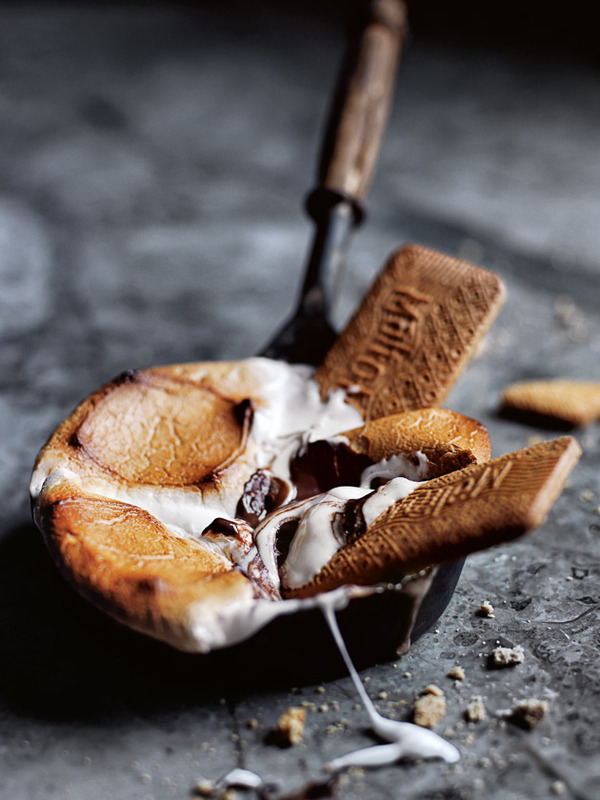 Cook for 5 minutes or until the marshmallows are puffed and golden brown. Serve immediately with the biscuits. Serves 2.